Song: “Looks” 1 Samuel 16:7, from “Songs for Saplings ABC” by Dana Dirksen. Listen here. 1 Samuel 16, verse 7. Supplies: Bible, children’s Bible, print out of teaching. 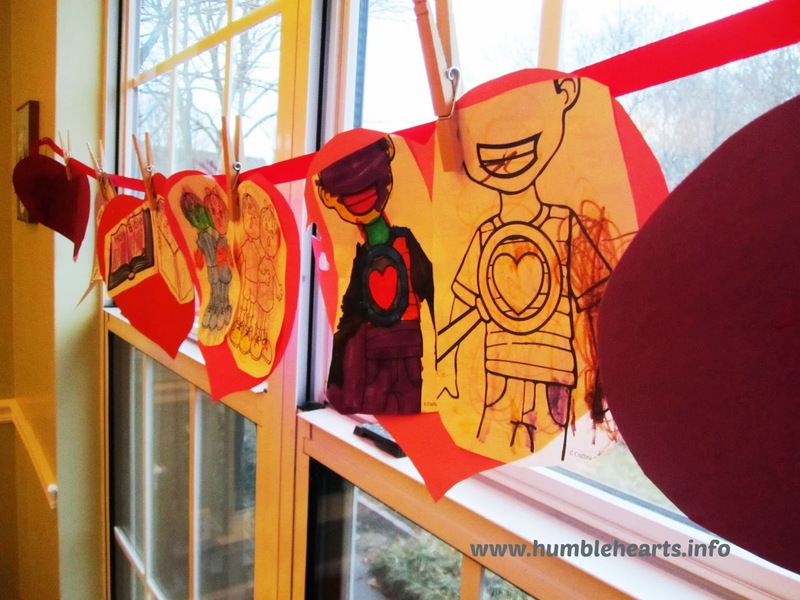 Heart Banner: picture looking at a heart. For Wax Resist: white crayon, a piece of thick white paper watercolors, paintbrush. (read 1 Samuel 16:6) Samuel looked at Eliab and thought that he must be king. (read Samuel 16:7) On the outside Eliab looked like he would make a good King. God looks at something different. God looks at our heart. What is even more important to God? Our heart! We can choose what have in our heart. 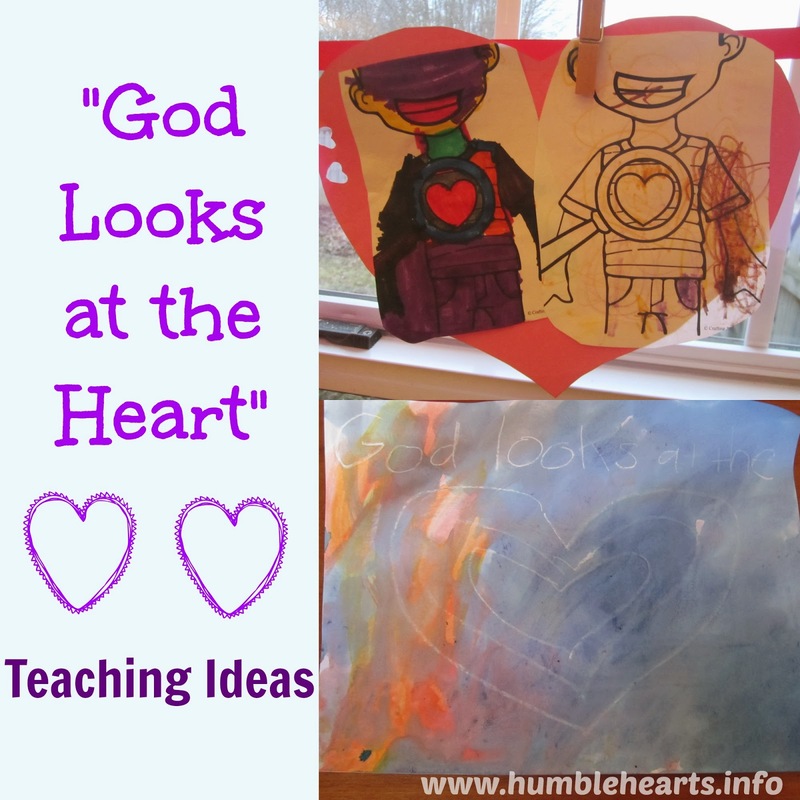 Heart Banner part 4: Make a heart banner from “Love God With All Your Heart” teaching ideas. 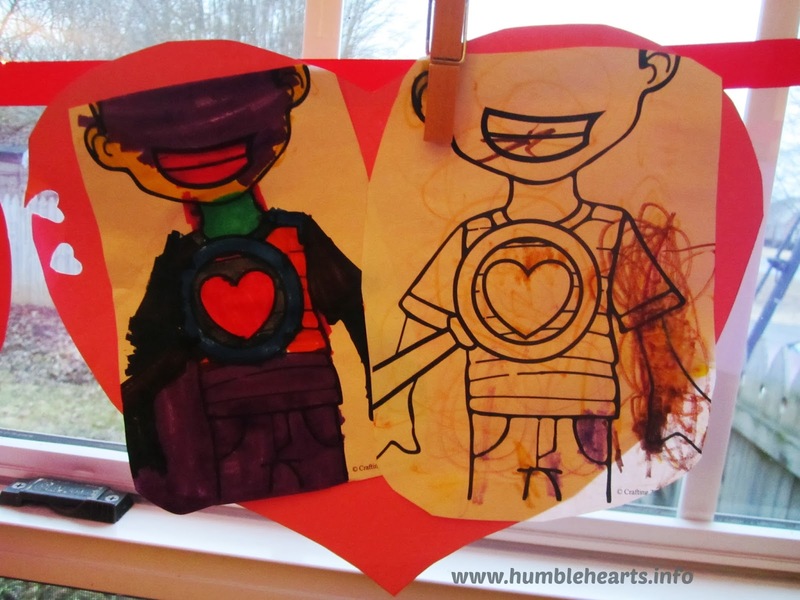 For the fourth heart, have your child color a picture looking at someone’s heart (print from here), then glue it onto the heart.